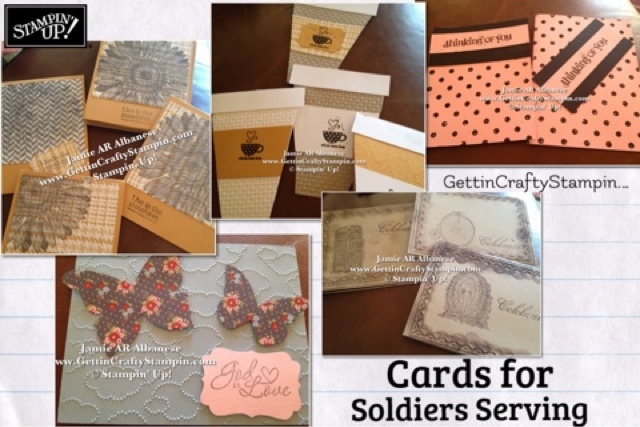 Getting Crafty with Jamie: Saluting Soldiers! Recently, I've posted some fun pictures of the most recent Soldier Card event where a group of teenage girls came and had fun while creating cards for Soldiers who are serving abroad. 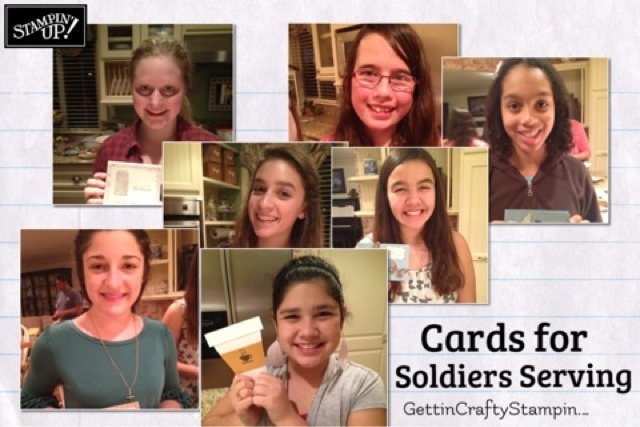 Here is a recap of the amazing event and some of the girls who played! 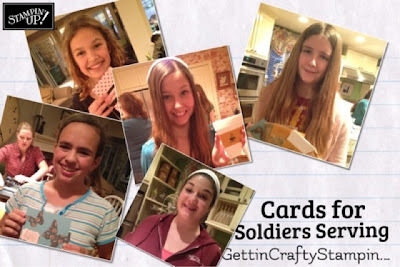 We created over 90 cards in a few hours! What a blessing!! I created these lil Montage's with my Simply Sent App and Iphone.. lol..